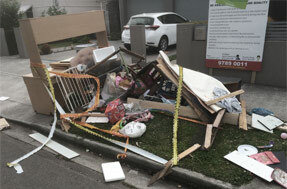 Looking for Hand Loaded Junk Disposal in Pennant Hills? All Types of Rubbish. Great Value. Call Now! 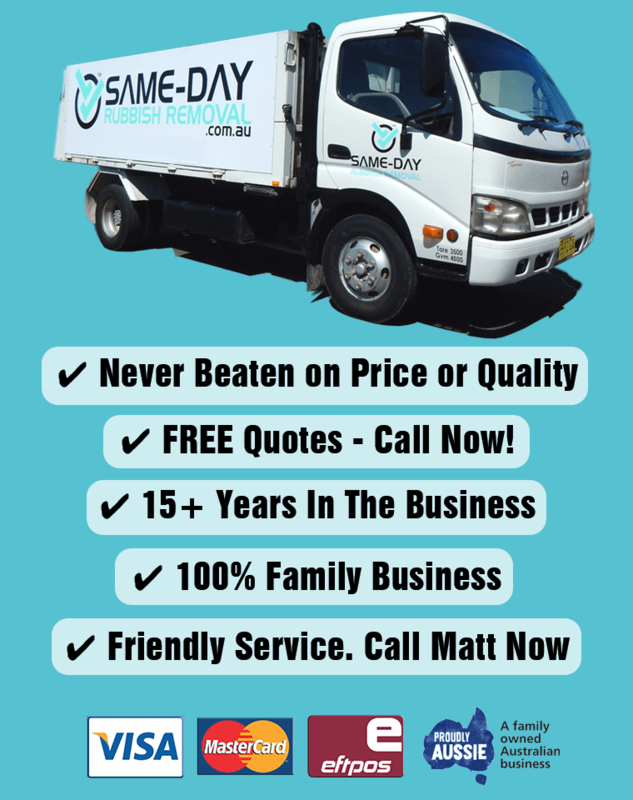 Need junk promptly and affordably disposed of from your Pennant Hills property? You’ve come to the right place. 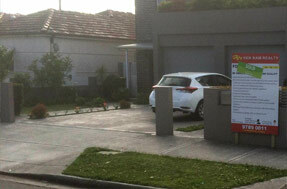 Here at Same-Day Rubbish Removal we provide prompt service to the Hills District area at very reasonable prices. No matter what type of waste you need disposed of, we make the whole process super-easy. Our friendly and experienced team hand-load all your old and unwanted items into our trucks ready for prompt disposal and recycling. All you have to do is give us a call. We’ll be happy to assist with a free quote, and to handle everything from there. How much do you really know about waste in Australia? According to the Australian Bureau of Statistics, waste management has gradually regressed since 2002. This conclusion was made due to the increase in junk disposed per capita. In 2009, Australians were disposing 128kg more garbage per person (1,035kg) than in 2002 (907kg). It is estimated that this number would be much higher now. It’s not all bad though, it is likely that some of this increase is due to people disposing of it correctly and less of it ending up in the environment, and we also are recycling more too. We’re not trying to make you feel guilty about any junk you may have, but we do want to make sure you dispose of it responsibly! That is why Same-Day Rubbish Removal is here. We can solve any rubbish problem that you have in an environmentally responsible way. Our fast and efficient service can take any kind of waste from your Pennant Hills residence in one go. No skip bin sitting on the front lawn for weeks killing the grass and no wrecked backs from heavy lifting. We do it all for you in one go. 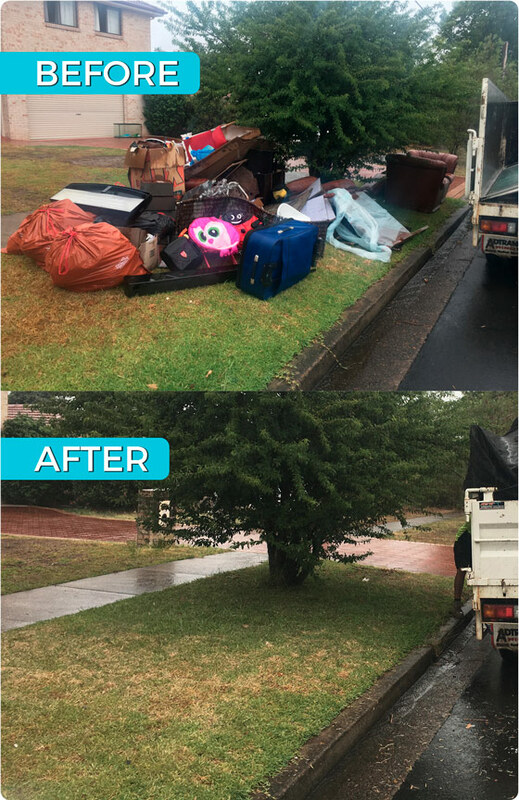 Due to the way we have efficiently streamlined our service, Same-Day Rubbish Removal can offer you the most affordable junk removal option in Pennant Hills. Our services extend all over Sydney’s Inner West, Eastern Suburbs, Northern Suburbs and beyond including nearby suburbs such as Hornsby, Wahroonga, Castle Hill, Baulkham Hills, Macquarie Park, and many more. Not having two trips, dropping off and picking up a skip bin, we can save you money as well as saving you the effort of doing everything yourself. Just tell us what to pick up and it will be gone. The only thing you need to do is pick up the phone!